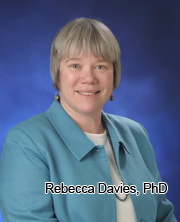 Regenerative Medicine Today welcomes Rebecca Davies, PhD. Dr. Davies is an Associate Professor in the Department of Veterinary Population Medicine – College of Veterinary Medicine at the University of Minnesota. Dr. Davies discusses her work in establishing quality assurance in an academic environment. For more information about Dr. Davies, click here.